…..only thirty miles from Austin but light-years outside its orbit. 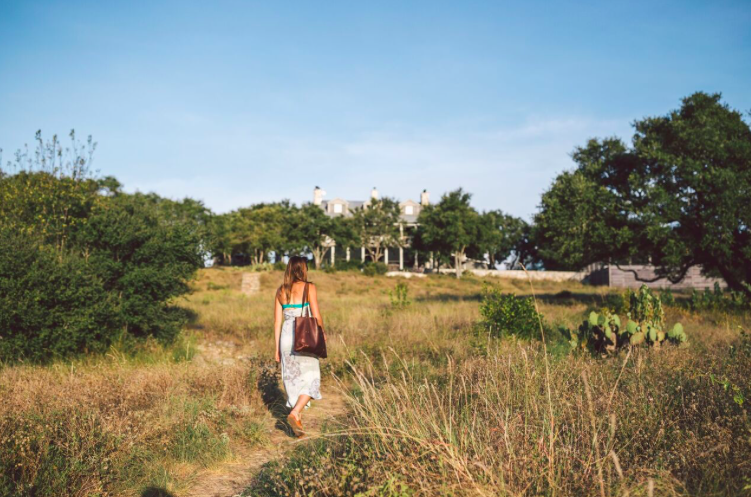 The 88 acres feature two historic-looking buildings and several cottages hidden in the Hill Country underbrush, giving you the feeling of a bygone, more rustic time. But this is a carefully crafted illusion. At night, I sank into a pillow-top mattress. In the afternoon, I dozed off in my room’s whirlpool tub. A grueling stroll along the hiking trails would no doubt require a visit to the spa, located in a quaint tin-roofed building next to beds of sunflowers. You needn’t be an overnight guest to spot a raccoon or fox, poke around the vegetable gardens, hear the little "tzip" of a hummingbird’s wings along a gravel path, or sit around the fire pit as twilight falls, a blanket across your lap, soaking up the vision of a simpler life. You’ll be back to your real one soon enough.